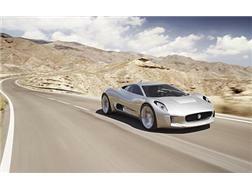 Home › Uncategorized › Electric supercar features Manx technology. Electric supercar features Manx technology. A 200mph Jaguar electric supercar was unveiled yesterday at the Paris motorshow. It features technology by Isle of Man based Bladon Jets. The C-X75 can travel for 560 miles without needing to be recharged. This is due to to gas turbine technology from Bladon Jets which has a base in Douglas. The gas turbines need to be refueled meaning the car uses hybrid technology. Meanwhile Tatra, the Indian owner of Jaguar, has agreed to be a minority stakeholder in Bladon Jets.